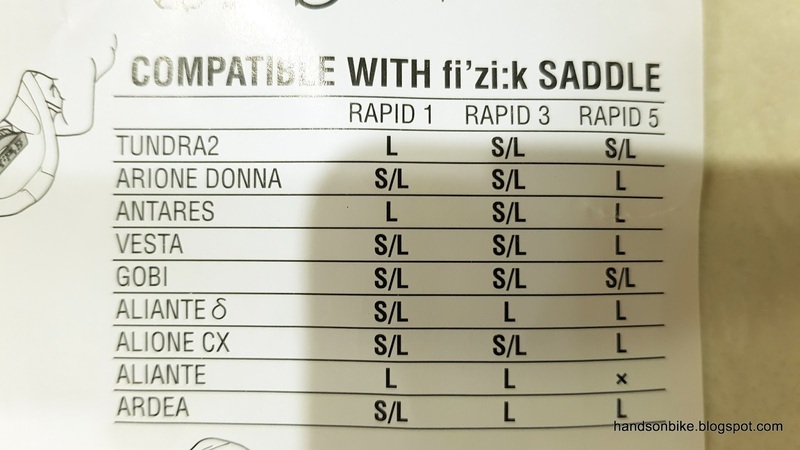 The Canyon Endurace came with a Fizik Aliante R3 saddle, which is the first Fizik saddle that I ever had. 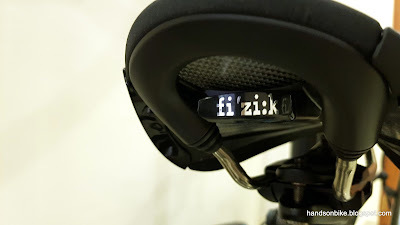 What is special about some Fizik saddles is that it has an integrated rear light mount under the saddle. 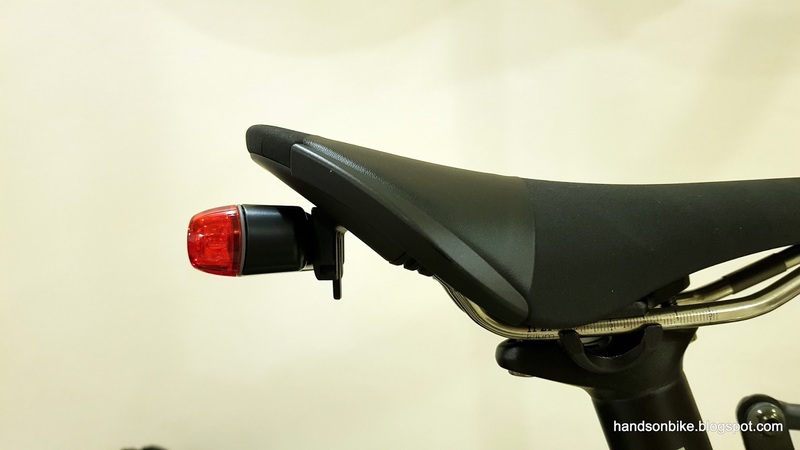 This means that some compatible rear lights can be installed under the saddle neatly. Fizik saddle, with a plastic cover taking the place of the saddle bracket that is needed to mount a rear light. 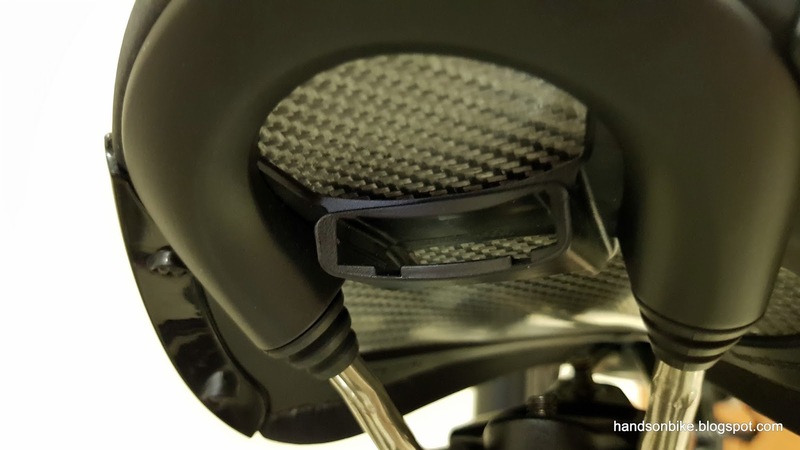 With the plastic cover removed, the saddle is now ready to accept the saddle bracket that can be used to mount a rear light. Depending on which rear light you want to use, you need to get the correct bracket to fix the rear light to the saddle. For me, I will be using a Cateye rear light, and so I got the Cateye saddle bracket. 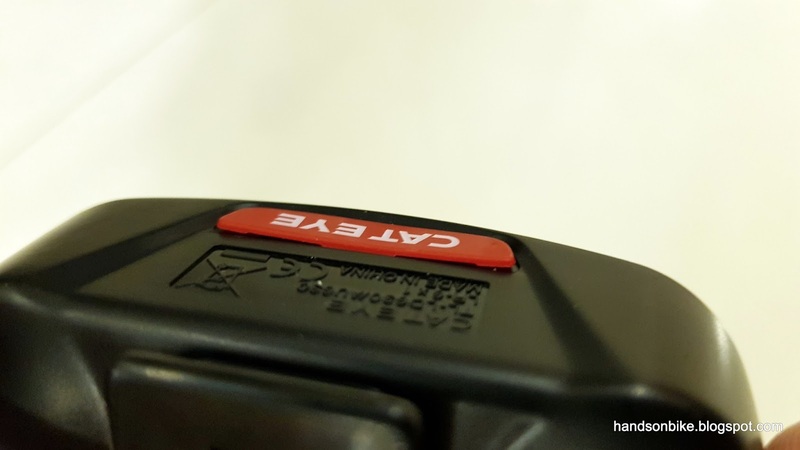 Cateye saddle bracket that is used to mount a Cateye rear light to a Fizik saddle. It comes with two different sized brackets as different rear lights and saddle will require different bracket lengths to work. Short bracket on the left, long bracket on the right. 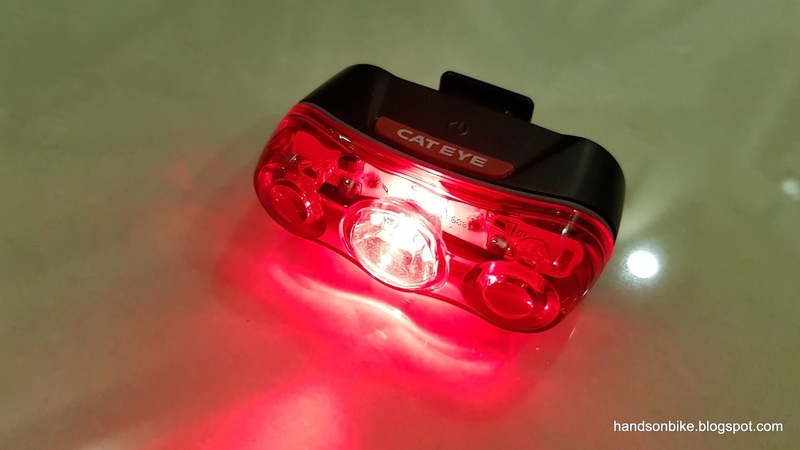 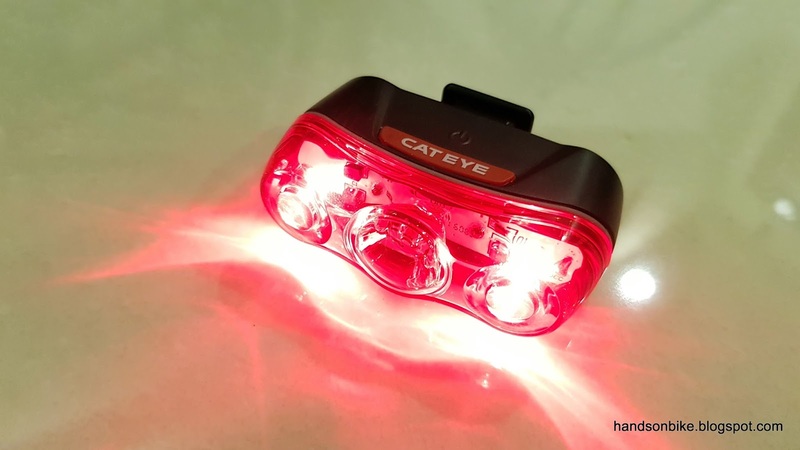 Cateye Rapid 3 rear light. 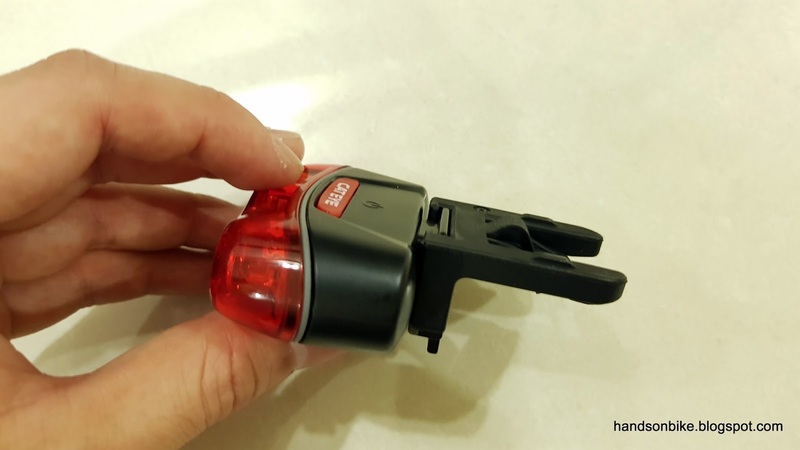 I would have preferred a USB rechargeable rear light, but I could not find a suitable one. 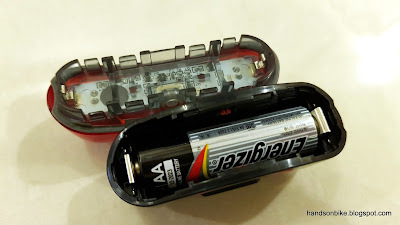 Battery life of up to 80 hours in flashing mode, which is excellent. 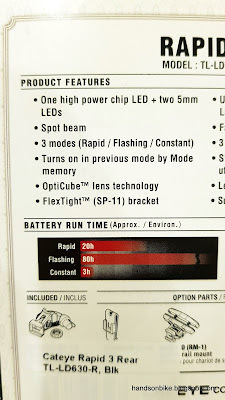 Battery run time for the different lighting modes. Edges of the Cateye badge sticking out, which looks really poor. 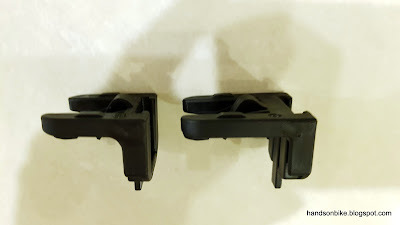 This is because there is only one snap fit in the middle, with the edges free to deform. Uses 1 x AA battery. 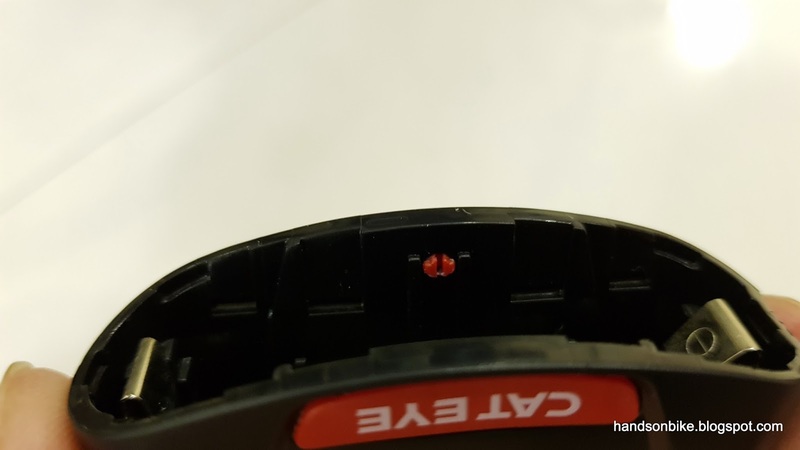 The rubber seal at the edge of the housing also comes off easily. 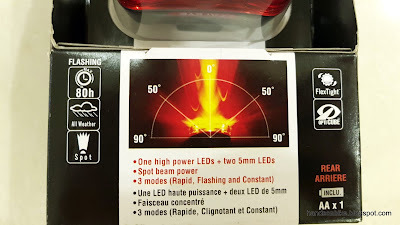 ...and one big LED in the middle. Together with the small bracket, the light and bracket weighs 56 grams. ...which is then inserted into the saddle mount. Sticks out quite a bit from the saddle. 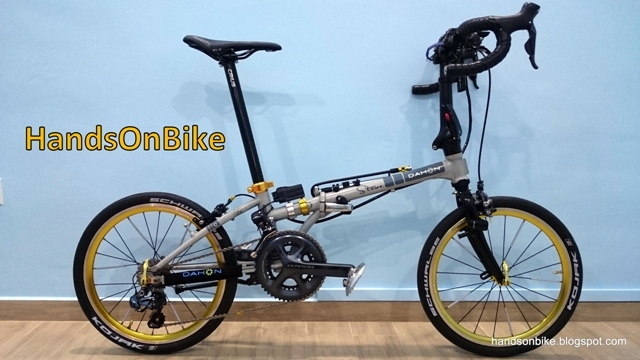 Still leaves sufficient space for a saddle bag. 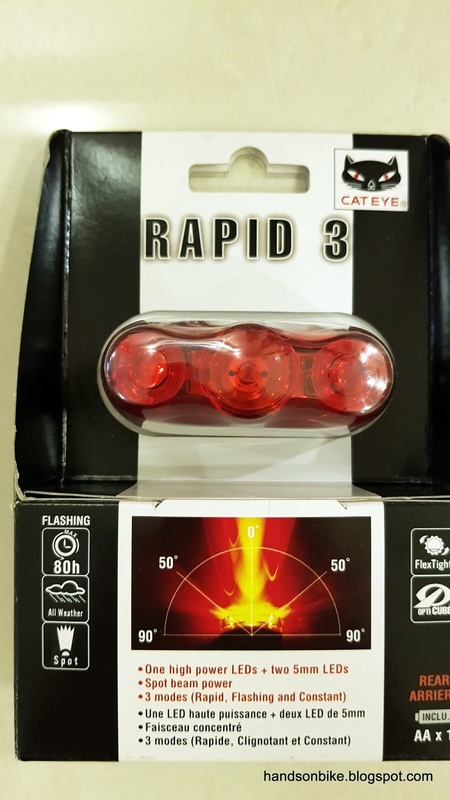 View from the rear. Depending on your saddle angle, the light angle will vary. 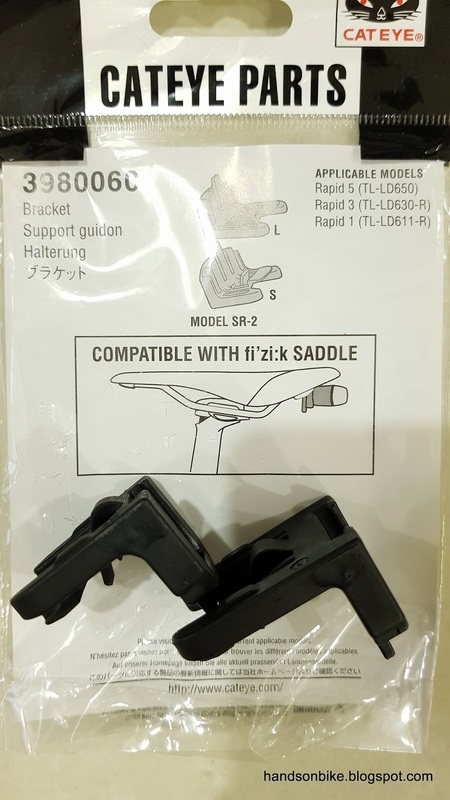 1) Compact as it does not take up space on the saddle rail. 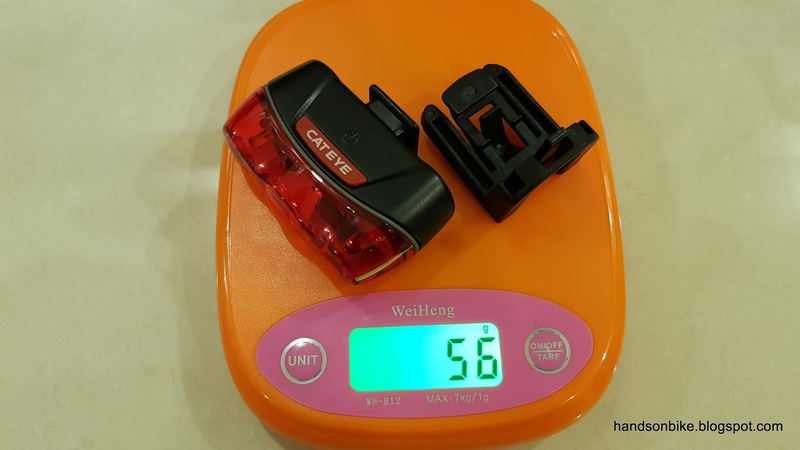 3) Another light can be mounted on the saddle bag or seatpost. 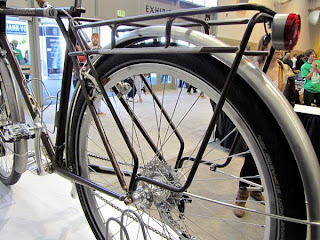 1) When moving your bike, most people will lift the rear saddle. In this case, they will end up pulling the light, causing it to drop out from the bracket. 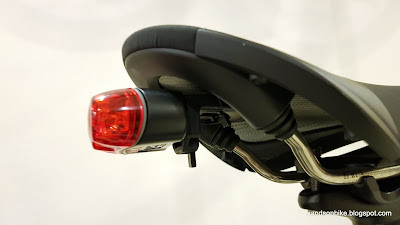 2) Light angle is linked to the saddle angle. 3) Limited choice of rear lights. What I feel is that if you already have a Fizik saddle, this is an option for mounting a secondary rear light. 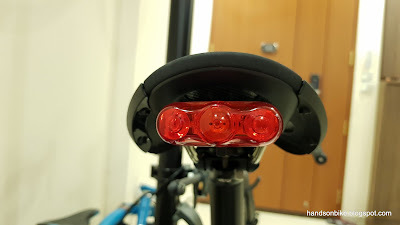 However, if you are thinking of getting a Fizik saddle just to mount a rear light on the saddle, you should reconsider as I don't think it is worth it. 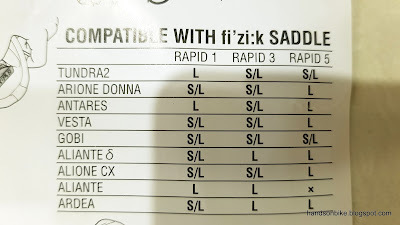 Good to have but not a strong enough reason to switch saddles.